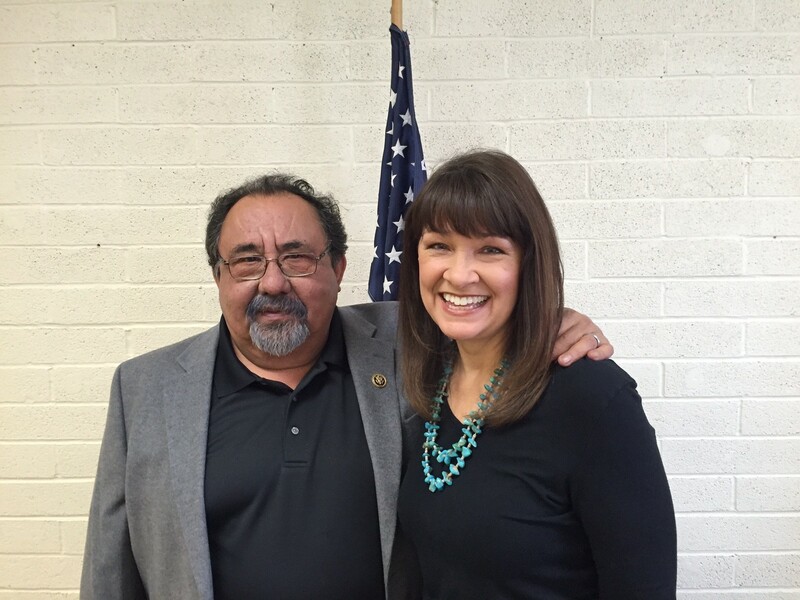 Grijalva Endorses Steele in CD2 Dem Primary: "Victoria Represents Big Goals and Big Ideas"
Victoria Steele: When elected, I look forward to working with Congressman Grijalva on all the progressive issues he has championed." Democrat Victoria Steele has landed the endorsement of Congressman Raul Grijalva in her quest for the Democratic nomination to take on Republican Congresswoman Martha McSally. At a press conference Tuesday morning, Grijalva praised Steele’s support for abortion rights, immigration reform, education, the Affordable Care Act and equal pay for women. “When elected, I look forward to working with Congressman Grijalva on all of the progressive issues he has championed so hard for so many years, from raising the minimum wage to fighting for a reasonable path to citizenship to combatting climate change,” Steele said. The endorsement of the left-leaning Grijalva could help Steele in a Democratic primary against former state lawmaker and physician Matt Heinz, but it might prove a liability in winning the Congressional District 2 seat in a November general. CD2, which includes eastern Pima County and all of Cochise County, is basically one-third Democrat, one-third Republican and one-third independent, so it’s a competitive district on paper. But the previous Democrats to win the seat, Gabby Giffords and Ron Barber, both ran as moderate Democrats and kept their distance from Grijalva. Last week, the Democratic Congressional Campaign Committee left CD2 off its list of targeted districts.